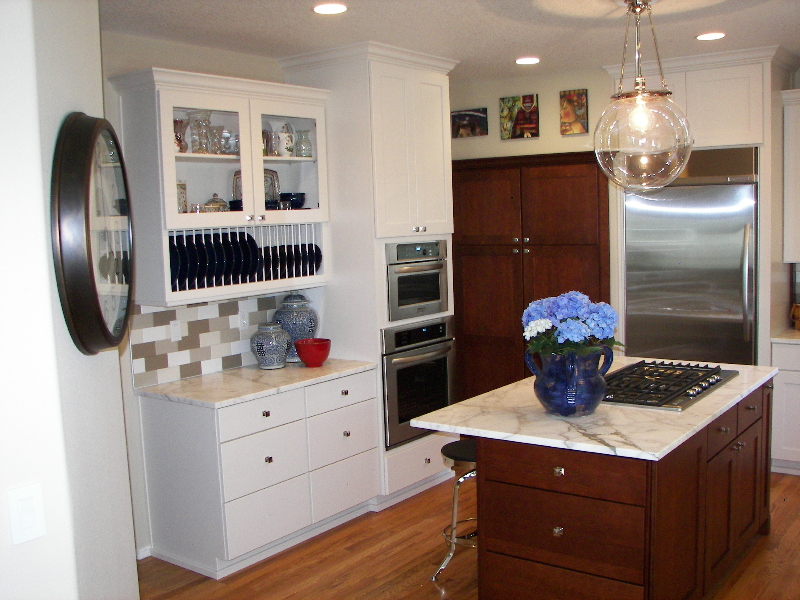 White Painted cabinets with a Gray Glaze. 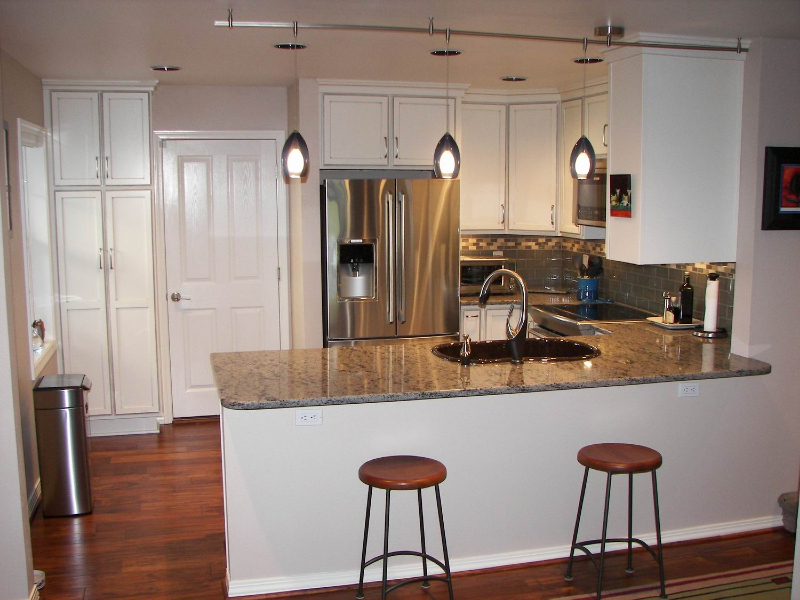 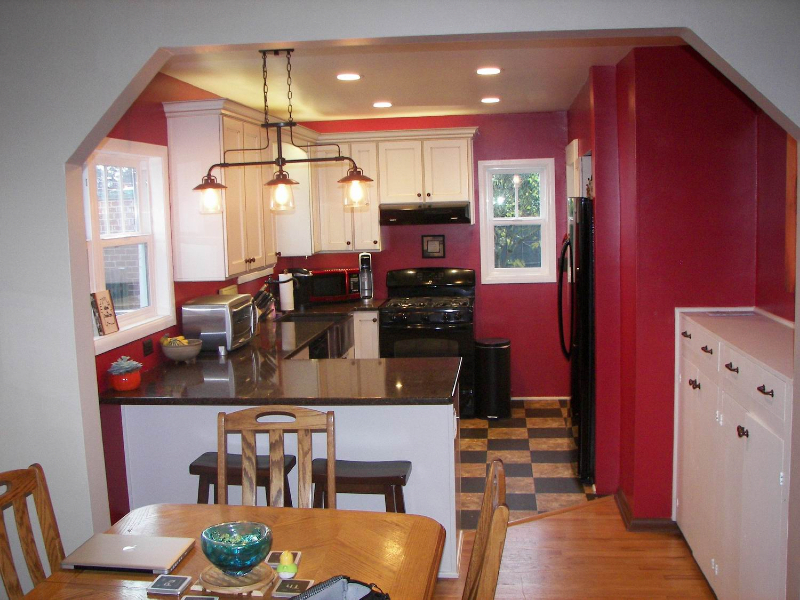 The counter tops are Cambria Quartz with a Kohler Cast iron sink. 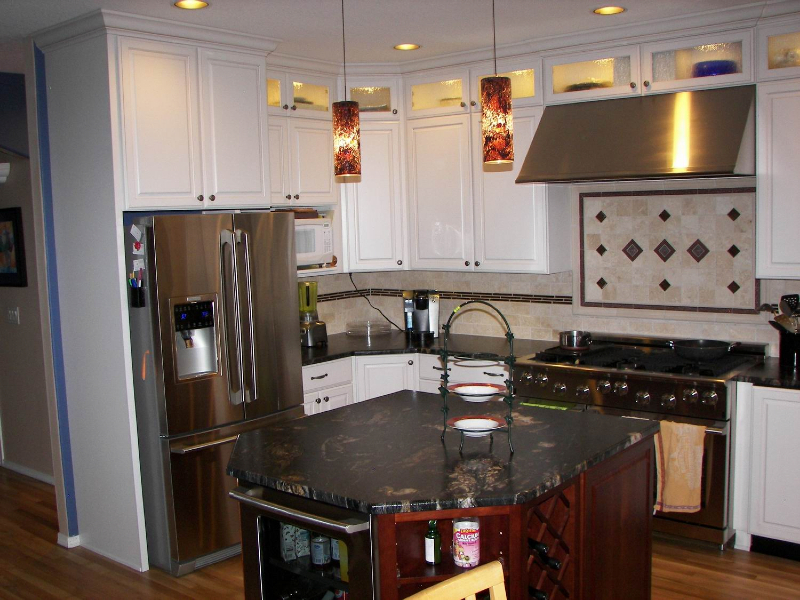 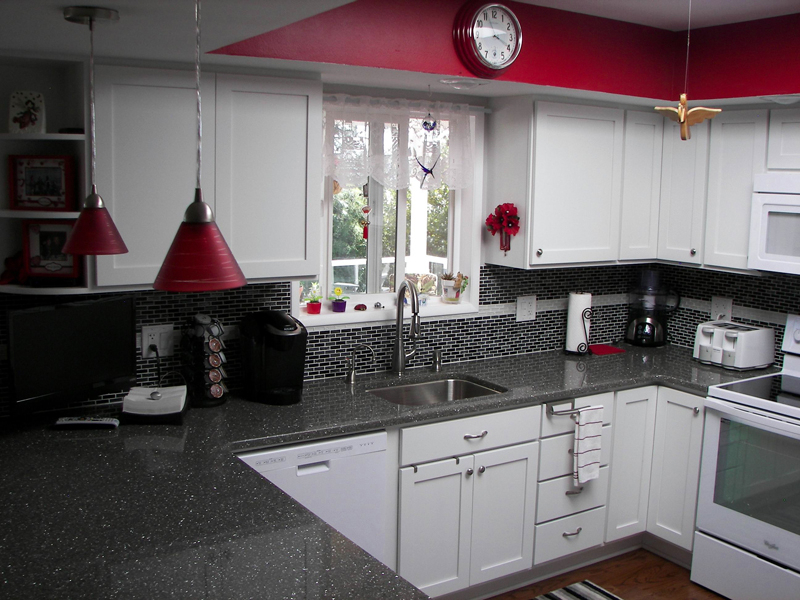 We changed the tile back splash to compliment the Quartz top and White Painted cabinets. 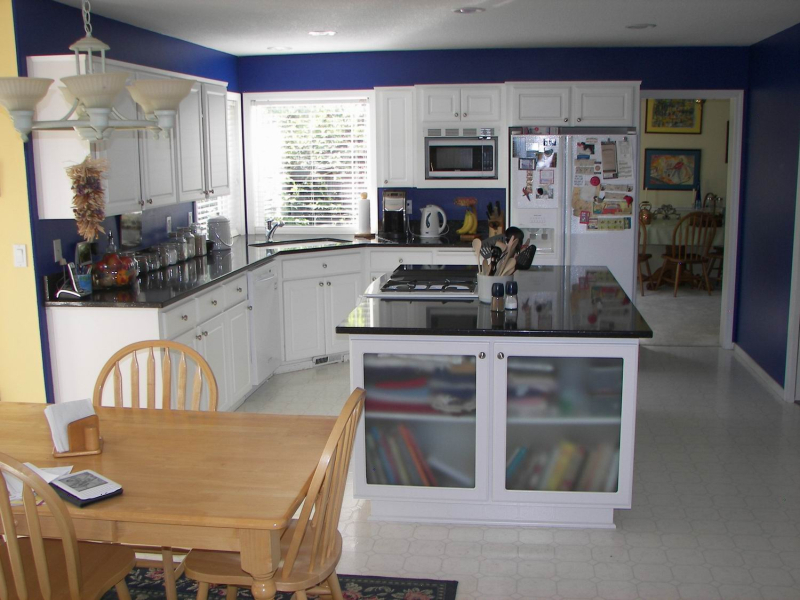 The design is basically the same, with a Lazy Susan to make the corner work better.